When designing your website, you may be inclined to style it around your favorite color. This may be okay- but you should first consider your target demographic. Color is a powerful persuasive tool. Depending on the product, 90% of snap judgments made about an item can be based on color alone. Studies have proven a real, visceral connection between the use of color and a customer’s perception of a brand’s personality. 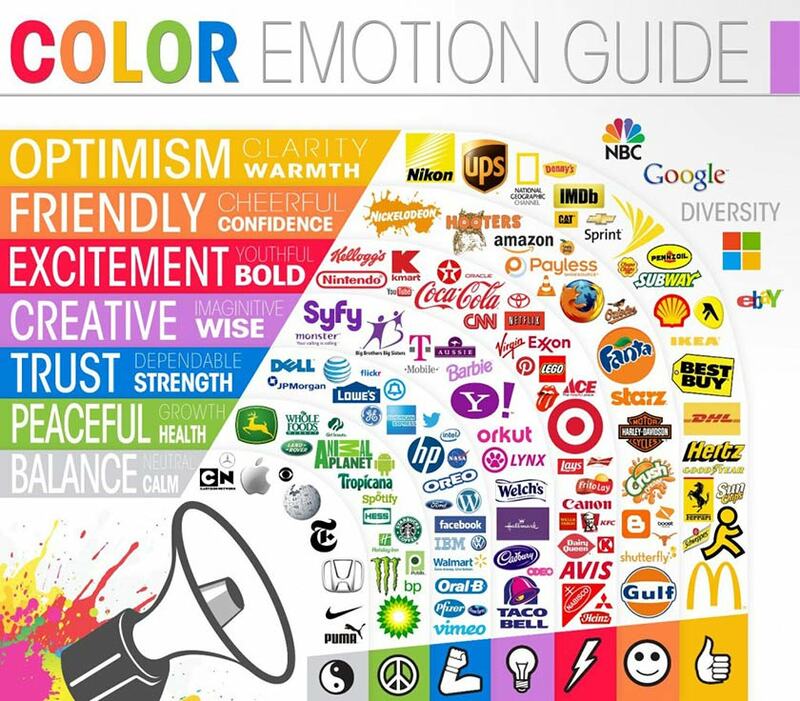 So what does your website’s color scheme say about you? Moreover, what is it communicating to your customers? The basics of color are what you might expect…but you may be surprised by a few others. Modern, clarity, and cleanliness. Be careful though- too much of a monochromatic look can often distract customers. They may wander to a new task because of the lack of stimulation. When used in the right doses, black can exude tranquility, confidence and strength. Use too much though, and you run the risk of appearing gloomy, bland or even untrustworthy. Brown is strong and dependable, and conveys confidence. Depending on the product it can be associated with ruggedness. Be sure to test different shades of brown – they can all portray a different feelings and levels of confidence and dependability. When polled about what their favorite color is, most people answered with blue. It’s also the most popular color for both men and women. Blue conveys trust and peace. The color of royalty, purple can suggest quality and affluence. In menswear retailers, it’s been used to suggest power. Green registers the most natural and organic aura, which is why it is often used with high-end grocers (think Whole Foods). It creates feelings of positivity, relaxation, safety and harmony. Be careful with yellow. While it’s very cheerful and playful, it should be used in moderation to avoid driving customers away. People associate orange with a good value. It radiates energy, originality, and warmth. Red incites a reduction of analytical thinking in humans- we become faster and more forceful, which can possibly encourage a quick-buy. Red is most often associated with love and passion, but be wary of using too much, as it can become aggressive. Another thing to consider is the target gender for your products. Though there is no absolute in which colors men and women prefer (as we are individuals and can’t be capped by stereotyped standards), there is some research that suggests trends toward certain colors for both men and women. Blue is the most popular color for both men and women. The most unpopular color for men is brown. The most unpopular color for women is orange. In addition, pay special attention to the color of your call to action buttons. There is a psychological principal known as The Isolation Effect that states that an item that clearly stands out is more likely to be remembered. For buttons and features you want your customers to see clearly and find easily, use a color that is potentially opposite on the color wheel from the rest of your theme. Research has shown that people can recognize and more easily remember items far better when it sticks out like a sore thumb from its surroundings. Color is a powerful tool. Use it wisely, and you can make the difference between a one-time buyer and a life-long shopper.